Interested in a construction job? As a host agency of the California Construction Expo 2009, the Los Angeles Unified School District invites all interested local construction workers and individuals interested in beginning a career in construction to attend the CalCon Expo on August 13, 2009 at the Los Angeles Convention Center. At the CalCon Expo, individuals will be able to obtain access to union apprenticeship programs, employment support services, pre-apprenticeship construction training, and workshops on "green collar" career opportunities. Women are strongly encouraged to attend the Expo and consider a career in construction. All who are interested should download this form, and bring it to the event for FREE ADMISSION! 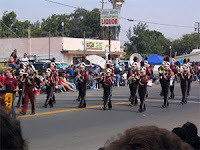 The submission deadline is 5:00 p.m. on Friday, August 14, 2009. Please submit this form via fax to (213) 978-0376 or via email to Niesha.Louis@lacity.org. If you have any questions, contact the Precincting Section at (213) 978-0434. Relay for Life of Hollywood is Coming Up! The first annual Relay For Life Hollywood is coming up and needs your support! American Cancer Society. The Hollywood event will take place August 22-23 from 9 a.m. to 9 a.m. at Helen Bernstein High School (1309 N Wilton Place). This event is volunteer-driven, and relays across the country have helped to raise more than $1.5 billion to support the American Cancer Society's mission of saving lives and preventing cancer through research, education, advocacy and services. This morning the Council's Housing, Community and Economic Development Committee unanimously voted to approve a $30 million federal government loan to retrofit the Kodak Theater for Cirque du Soleil. The show has agreed to a 10-year run in Hollywood. The loan comes from the U.S. Department of Housing and Urban Development and will be lent to the owners of Hollywood & Highland for the retrofit project, which is expected to generate more than 850 new jobs. Issuing the loan has no cost to city taxpayers -- in fact, the City of Los Angeles will receive a $450,000 fee when the federal loan is approved and funded. Even in this down economy, Cirque du Soleil has been a star attraction in other locations and it will be a great addition to Hollywood. We expect the show to draw more than one million people to Hollywood each year, which means that we’ll have an influx of visitors to neighborhood's restaurants, hotels, and other attractions. Today the City Council approved the creation of Hollywood’s first pedestrian alley, which will be located west of Cosmo Street between Hollywood Boulevard and Selma Avenue. The alley will be the first of its kind in our district. Our office worked with property owners and business tenants to develop a vision for an outdoor open space for visitors and local residents to stroll or sit. Business owners will add their own flavor to the alley with outdoor dining options and patio space. Several components of the alley will be rehabilitated or constructed as part of the project, including the addition of new drainage, lighting, pavement, and a security system. The pedestrian alley is expected to be completed by Summer 2010. Many thanks to the Hollywood community leaders who helped make this project possible and attended this morning's council meeting to support it! The Glassell Park Neighborhood Council and the City of Los Angeles are collaborating to bring residents a forum entitled National Healthcare and You. On Monday, August 10, from 7 p.m. to 9 p.m. come to the Glassell Park Community/Senior Center (3750 North Verdugo Road) to hear from a panel of speakers who will address this important issue. 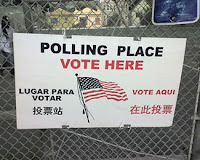 For more information, visit the Glassell Park Neighborhood Council website here. The Atwater Village community celebrated the completion of the improvement project at the Glenfeliz/Valleybrink/Dover intersection this Saturday. The upgrades -- including a curb extension and re-striped crosswalks -- will make it safer for pedestrians and help traffic move more efficiently through this intersection. Many thanks to the Atwater Village Neighborhood Council, Frank Armstrong, Edward Nino, Monica Hayes-Nino, Claire Flewin, Quinn Cummings, and all of the other community leaders who helped make this project possible! On Tuesday, July 28, all are invited to the Los Angeles River Revitalization Update and Project Design Workshop to discuss the implementation of the Los Angeles River Revitalization Master Plan and to share thoughts on possible River future projects for the future. Two meetings will be held on the same day -- one from 1:00 p.m. to 3:00 p.m., and another from 5:30 p.m. to 7:30 p.m. The meetings will be held in the atrium in the California Building of the Los Angeles River Center and Gardens (570 W. Avenue 26). For more information, contact Carol Armstrong of the Los Angeles River Project at (213) 485-5762 or carol.armstrong@lacity.org. Calling all the budding Picassos of Los Angeles! The Echo Park Community Parade Committee would like to invite young Angelenos to participate in its annual art contest at the Echo Park Farmer’s Market from August 7 through October 9. The Echo Park Farmer’s market, located at the public parking lot on Logan St., is held every Friday from 3 p.m. to 7 p.m.
A panel of judges will select four art contest winners on Saturday, October 10. Last year’s youngest participant was 9 months old! Also, mark your calendars -- the Echo Park Community Parade will be held Saturday, December 12, from 12 p.m. to 3 p.m. Bob Baker of the Bob Baker Marionette Theatre will be this year’s grand marshal. If you wish to take part in the Echo Park Community Parade, call Maryanne Hayashi of Central City Action Committee at (213) 241-0908. The Los Angeles Department of Water and Power just reported that the June 2009 water demand was the lowest it has been in 32 years! conservation and implementing shortage year rates for all 680,000 water customers in the City of Los Angeles. This two-pronged approach is designed to spur greater water conservation, especially outdoors where between 30-40% of all water is used. Mandatory water conservation now restricts sprinkler watering to Mondays and Thursdays only and includes other provisions to save water such as prohibiting hosing down driveways and sidewalks and requiring all leaks be fixed. You can get tips on ways to conserve water and get information on the LADWP's rebates, including the newest Residential Turf Removal Program, by clicking here or by calling 1-800-DIAL DWP. On Saturday, July 25 at 10 a.m., take the Echo Park Lake Walking Tour to learn about the rich history of the Echo Park neighborhood. The guided tour is sponsored by the Echo Park Historical Society and will include some of the neighborhood’s most prominent landmarks, such as Jensen’s Recreation Center, Angelus Temple and, of course, the lake. Please note that the two-hour tour includes several stairways and reservations are required. The tour is free for EPHS members; otherwise a $5 donation is requested. 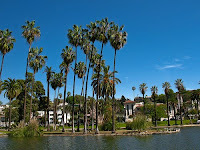 Tomorrow night, join the Echo Park Historical Society and the Echo Park Film Center for film night at Echo Park Lake. 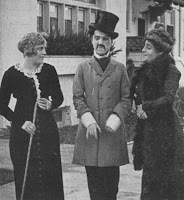 The free screenings will begin at 7 p.m. in the northern section of the park near the bridge and will celebrate the 100th anniversary of the opening of the first film studio in Edendale. Tomorrow night, the Atwater Village Chamber of Commerce is hosting Summer Nights on the Boulevard. From 6 p.m. to 10 p.m., check out live music and entertainment along Glendale Boulevard. Live bands will be featured at The Complex, the Madera bumpout, Hugo's Tacos, and The Little Knittery. The parking lot at 3111 Glendale Blvd. (Starbucks, 55 Degree Wine, Crispy Crust) will play have a DJ, an art exhibit, and more. For more information, contact the Atwater Village Chamber of Commerce at 323-634-2535 or visit the website here. Today in Council, we unanimously passed a new water conservation ordinance that will help us save an average of an additional 1 billion gallons of water every year over the next 20 years. The new ordinance sets guidelines for water fixtures in new buildings and for the replacement of broken fixtures in existing buildings. Not only will it save water, it will create additional dollar savings for businesses and homeowners who make the switch to the water efficient fixtures. The average household that uses an ultra-low flow toilet will save an average of $90 per year, and the Department of Water and Power offers rebates for most water-efficient fixtures. Prior to the press conference, I visited the L.A. Convention Center where a recent renovation is saving more than 1 million gallons of water per year. Pictured above is the new dishwasher, which is an Energy Star-rated model that saves 627,000 gallons of water annually. I hope that this ordinance will serve as a model to other cities in America and across the world. The Frances Howard Goldwyn – Hollywood Regional Branch of the Los Angeles Public Library has a host of activities for families this summer. All library events and memberships are free. Welcome to Hollywood, Madame Tussaud! I was pleased to attend the ribbon-cutting for the new Madame Tussaud’s Hollywood, a brand new 44,000 square-foot museum located next to Grauman’s Chinese Theater on Hollywood Boulevard. The new museum of wax figures will offer visitors cutting edge entertainment and tourism in the entertainment capital of the world. Jim Carrey, Kobe Bryant, and Meryl Streep are among the celebrities from film, television, and sports who are represented in this collection of amazingly life-like wax figures. Honorary Mayor of Hollywood Johnny Grant, who passed away last year, is also immortalized in wax (Mr. Grant's wax figure pictured above with me). The new museum will also give a welcome boost to the local economy -- more than 1,000 people were hired to build the facility and the museum will employ more than 160 people when it opens. In addition, it will generate an estimated $100 million in revenue for the regional economy in its first year. Come to the grand opening on August 1! Millennium Momentum Foundation is accepting applications for its National City of Opportunity Initiative, which works to ensure that young student leaders are equipped with the necessary skills and knowledge to be effective public servants. High school seniors, aspiring college students, and current college students (undergraduate & graduate) interested in applying for the program can click here for more information. Applications should apply and submit applications postmarked by Friday, August 14, 2009. I adjourned City Council today in honor of the great Julius Shulman, perhaps the greatest photographer of our time. His images of L.A. are icons of our city--its creativity, its geography, its mystery. He was an amazing advocate for our city, especially for the role of art, history and green space. I remember fondly visiting him at his house where he showed me a plan that Sunset Magazine had many years ago to create a giant Central Park in the San Fernando Valley that would have stretched from east to west as a riparian corridor. He said that Los Angeles was the best city in the world, but we had to do much more to ensure plans like this actually came to fruition and he praised the recent resurgence of activity to revitalize the Los Angeles River. Julius was a close friend of and the main mentor of my father and his photography. My dad visited Julius a couple of weeks ago and took this shot of Julius, one of the last pictures ever taken of him. Here's to 98 years of Julius' incredible history-making art and to his enduring love of Los Angeles! Rest in peace, Julius Shulman. We learned tonight that the Los Angeles Police Department's federal consent decree has been ended by U.S. District Court Judge Gary Feess. I applaud the judge for his wise decision and congratulate the department on its work to open a new chapter in its history. This news is the result of extremely hard work by city leaders and the department, aided by a reform-minded Police Commission, Inspector-General, and community groups that have helped implement new systems, policies, and technology to right the mistakes of the past that led the federal government to take over supervision of our department. Years of work ensuring measurable goals and programs, from cameras in our police cars to tracking systems of problem officers, from expanding community-based policing programs to diversifying our police force, have resulted in this positive outcome. The end of the consent decree does not mean our work in ensuring accountable, accessible, and effective community-based policing in Los Angeles is over. We have seen that incidents will happen that remind us that we must always carefully protect the rights of all Angelenos to both their civil rights and to safe neighborhoods. But tonight I am immensely proud of the men and women of the Los Angeles Police Department who have worked so hard with City Hall to achieve this milestone. Tonight, we turn a new page in our department and our city's history. Last year, our crime rate was lower than any year in my life here in Los Angeles. This has helped communities come back, economic development occur, and has resulted in strong and substantive partnerships between police officers and everyday Angelenos. That, together with tonight's good news, is something we can all celebrate. I first met Dr. Regina Benjamin in 1998 when we both spent a year together as Rockefeller Foundation Next Generation Leaders. She is an incredible doctor and social change activist, who embodies what public service should be. 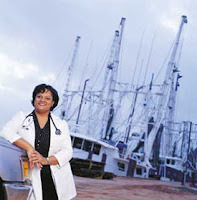 For almost 20 years, Regina has run a small clinic in a Gulf Coast fishing community in rural Alabama called the Bayou La Batre Rural Health Clinic. The clinic provides health care for the entire community, focusing as much on preventive care as on direct services. In Bayou La Batre, she has served a population as diverse as Los Angeles'--longtime residents, new Asian and Latino immigrants, seniors, babies, and the homeless. She is a tireless, focused advocate and a gifted doctor. I remember many talks over the years with Regina, in which she has talked about the importance of preventive care and as she rebuilt her clinic after hurricanes twice (and most recently during Katrina) destroyed her clinic. When friends felt powerless after Hurricane Katrina and didn't know where to turn, I helped raise money for her clinic, knowing we could trust deeply where Regina would use the donations. Over her career, Regina became the first woman to head up a state Medical Assocation and then was the youngest member of the American Medical Association Board of Trustees and the first African-American woman to achieve this position. Bonnie Brae Village, Los Angeles's newest affordable snipor residence community, will begin distributing applications for its 92 apartments for low-income seniors on July 20. The new facility will also offer supportive services on-site, including money management, employment training, healthcare referrals, on-site case managers, and much more. To learn more about how to obtain an application, please call (888) 454-3113. On Sunday, August 9, enjoy a day of art, music, and fun at the Hollywood Arts Council’s 24th Annual Children’s Festival of the Arts. This free event celebrates Hollywood’s arts and cultures and will feature a variety of international music and dance performances as well as an assortment of art workshops. Kids will also be entertained by Mally Lewis and Lamb Chop. Bugs Bunny and Daffy Duck are also scheduled to make appearances. The festival will be held from noon to 4:30 p.m. at Paramount Pictures Studio (5555 Melrose Ave). For more information, call (323) 871–ARTS or visit here. The Big Parade is an exciting two-day walk through Los Angeles that starts in Downtown at the famous Angel's Flight Stairway and will end at the Hollywood sign. The walk covers approximately 40 miles and 135 stairways and includes an overnight camp-out at the famous Music Box Stairs in Silver Lake. All community members and local organizations are invited to join this walk through the city's most diverse neighborhoods. The walk is broken into specific segments so that walkers of all ages and levels of fitness can join at specific times. For more information or to find out how to join, visit here. The Hollywood Hot Spot is proud to present its first DJ workshop of the summer. Participants will learn how to DJ from the best DJs in town: DJ Mr. Casual, DJ. Jeremy Roueche, and DJ Pistole Pete! This exciting workshop will be held on July 23rd from 7:30 p.m. to 9:00 p.m. in room C125 at Helen Bernstein High School. The DJ workshop is just one of the many free activities offered to all local high school students through the Hollywood Hot Spot summer program. Students can learn how to play musical instruments in our Rock Band Sessions or learn how to create art using acrylic, oil, and spray paints at the Urban Art Workshops! On Saturday, July 25, come to 9th annual Live, Work & Play in East Hollywood Consumer Resource and Health Fair to find out about employment programs, housing information, health insurance, educational opportunities, youth programs and much more! More than forty organizations will provide free resources and consultations, and free health screenings will be offered. The event will be hosted by Thai Community Development Center and will be held at the Hollywood/Western MTA Portal Plaza, 5454 Hollywood Blvd. For more information, call (323) 468-2555 or visit http://www.thaicdc.org/. On Saturday, more than 500 students associated with the Pacific American Volunteer Association (PAVA) helped to clean up the neighborhood around the Sunset and Western intersection in Hollywood. Volunteers removed more than 1 ½ tons of debris from an 11 block area. Partners for this event included the Hollywood Beaufication Team, Clean & Green, and the Los Angeles Department of Public Works. Here's an opportunity to help provide arts programs to thousands of Los Angeles students who might otherwise not have the opportunity to paint, draw, sculpt, and more. 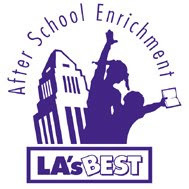 LA's BEST -- our city's nationally-recognized after-school enrichment program -- needs help to continue providing arts programs. Check out the limited run of this summer's sizzling musical sensation, Baby It's You, before it hits Broadway and for every $75 ticket sold this summer, LA's BEST will receive a $25 tax-deductible donation to help support visual and performing arts programs for low-income elementary school kids. The show is running July 18 - August 30, 2009 at The Coast Playhouse located at 8325 Santa Monica Blvd. in West Hollywood. To purchase tickets please click here or call 1-800-595-4849. On July 11th and 12th, Echo Park Chamber of Commerce and the City Recreation and Parks Commission is sponsoring a Community Festival highlighting the Lotus Children's Area. The Festival will feature live entertainment from various DJs, bands, and other acts. Come check out vendors and family entertainment. Admission is free on Saturday (12 p.m. - 9 p.m.) and Sunday (12 p.m. - 8:30 p.m.). To learn more, please visit their website here. Tomorrow, Angelenos will mourn the death of the King of Pop, and Michael Jackson's memorial service will require shutting down streets around the Staples Center. 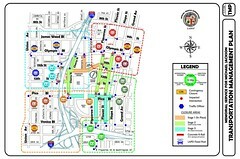 To view street closures and reroute information from the Los Angeles Department of Transportation click on the map at right. The open and closed times for streets are displayed on the map in the hexagonal symbols. These street closures are subject to change to address emergent traffic needs, and any major changes will be updated as the day progresses. Everyone enjoys fireworks as part of their 4th of July experience. However, every year there are many reported injuries due to improper or illegal use of fireworks. 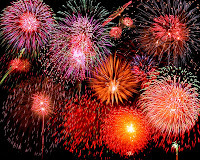 To learn more about firework safety, visit SafeJuly4th.org for tips on how to have a fun and safe holiday weekend! To enjoy fireworks, go to a professional show. You can find a list of shows by calling (888) 654-FIRE. Today the City of Los Angeles celebrated the inauguration of our Mayor, City Attorney, and City Controller, and certain City Councilmembers (about half of the council seats were up for election this year). I'm thrilled and humbled to serve my community for another term on the City Council. As I said at my community swearing-in celebration last night, even as we face our most difficult challenges in a generation. I have hope and belief in strong summers ahead, of stories to be written and lived, of the Los Angeles we reach for each day of our lives. In the next four years, let us be guided by the love of our city, tenacious work to move us forward, and the hope that has inspired generations of Angelenos to protect and preserve this promise for all who are here today and all who will follow.